I did it! 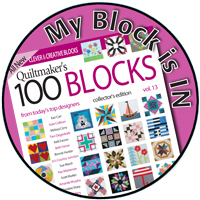 I actually completed the pieced blocks from the Modern Plus Sampler myself. I was tempted to ask Cheryl to do them for me but in the end I'm glad I did them. With larger and fewer pieces, I tackled the kaleidoscope block from Kaleidoscope Plus first. 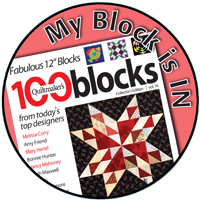 I did add one element of complexity when piecing the block. Since I was using a directional background fabric, Beaded Curtain from Fandangle by Christa Watson, I wanted to keep the beads all vertical. Faceted Rings made me a little nervous with the odd angles and smaller pieces but I managed to complete it as well. 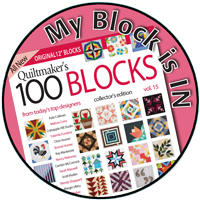 You will find January's instructions for the paper pieced areas in this post and all the details about the quilt-a-long on the Modern Plus Sampler page. 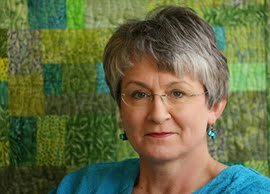 You can take a look at Cheryl's perfect paper pieced areas here. Would you be interested in a tutorial on how I cut the directional fabric pieces for paper piecing? Let me know in the comments. 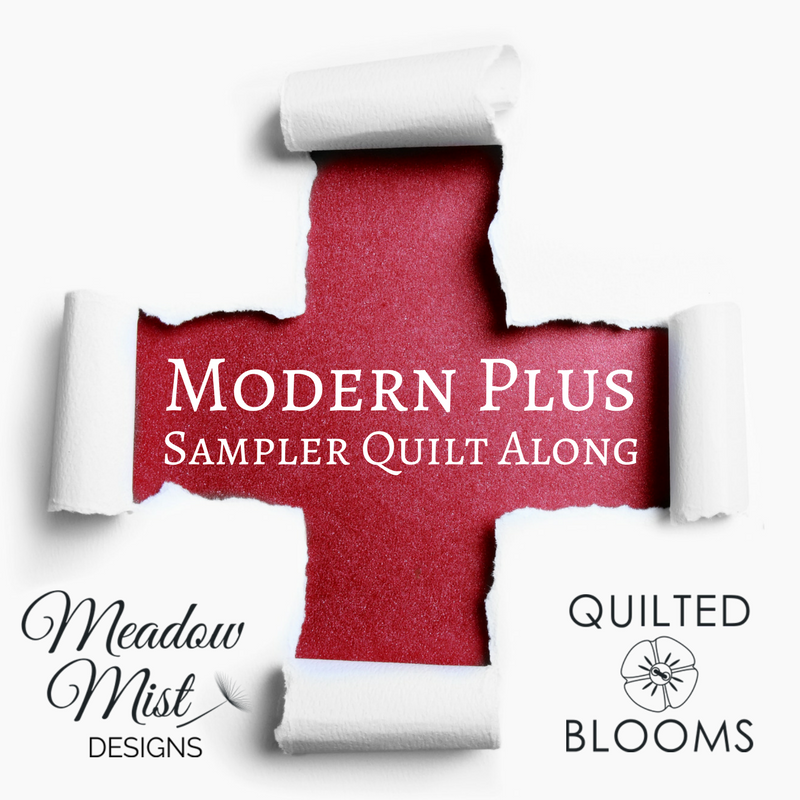 Join us back on Thursday, February 7th, when we will share the final assembly instructions for the Modern Plus Sampler. How exciting! That blocks look perfect. Keeping all of the beads vertical must have been difficult for sure. 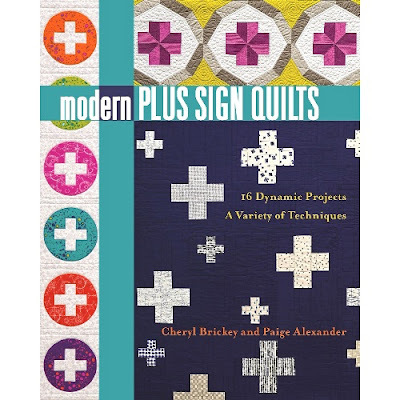 All of the patterns in Modern + Sign Quilts are pretty. 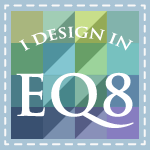 I actually have three quilt tops from the book awaiting quilting. Thanks Danice! Looking forward to seeing your quilts from Modern Plus Sign Quilts. Thanks for your support! Well done Paige! You've done a spectacular job! So... are you a convert now? You did great. I would love a tutorial about how you kept the directionality in the prints! Tutorial welcome! 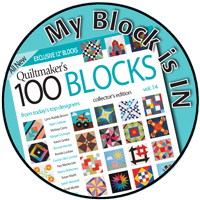 ;-) Your blocks look perfect! That is amazing that you kept the direction of the prints. Wow. I'd love to see how you did it.